And the Bella Award Goes To. . .
Buzzardbilly gave me the Bella blog award the other day and I was so stunned I completely forget to pass the award on. 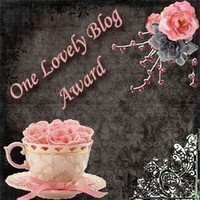 The rules say that I must choose 15 new blogs that I read that are deserving of the award. I’m new to the blogosphere and many of the ones I read have already been awarded the Bella. I know Jamie from another cyber-world and was delighted to find she had a blog. She’s an ex-pat living in France. For those of us who love to eat and/or love to cook, Jamie’s blog is a feast for the eyes. I can’t summon up the motivation to cook for one, so I don’t make any of her recipes. I go to the blog for the story-telling and the food photo erotica. I know Jim from real life and his was first the blog I read regularly. He’s a little too busy with Twitter and Facebook these days, but I love his passion for being a dad and a husband. The world definitely needs more dads like him. When he’s not talking about his family, he’s likely to be doing some pretty fine political analysis. Hogpath’s Frames of Mind is a place of poetry and story-telling. It’s hypnotic and addictive. There aren’t frequent posts, but my spirit feels cleaner after a visit. I also know Snoskred from another cyber-world. She’s an Australian and engaged in blog hosting, scam baiting, and kayaking. Her posts run the gamut and they’re always enjoyable and/or useful. For those of us new to blogging, her site is a wealth of information. I know Doug in real life and he and his wife are responsible for my being a spectacle at the Obama Pajama Party and the subsequent formation of Drama Queens for Obama. His site is a visual delight and be sure to take a look at the Italy section – there’s some fabulous storytelling, slideshows and video. Vera’s Weblog the site of another friend I met online. She’s a ex-pat German living four feet from the Canadian border in Minnesota. Her take on life, her lifestyle, and her photography are breathtaking. And, finally, there’s Esse Diem. Like me, she’s new to this, but her posts rock. I suspect we’re kindred spirits. Aw, man, I forgot this guy so I’m editing this post. He’s another Mudpuppy. His site is a veritable cacophony of information and links. Truly, one of my favorites. So that’s 8 9 Tell me who the 7 6 are that I’m not reading (see blog roll) who are deserving of a Bella. Heavens! I’m speechless! What an honor. Thank you so much. I will strive to make you proud. This is quite a bar to live up to. I’m trying to do something a little different, and had actually been wondering if it was well received. This is truly encouraging. Thank you, thank you. I give a big thumbs up for Margaret and Helen. I adore Margaret and Helen, but I was trying to give the award to people with a smaller readership than the enormously popular M & H.
I wondered what AKM would do if I gave it to her. 🙂 I like the grubby kid analogy. Oh, Connie, what an honor! Thank you so much and I hope I do this award proud! Well now, THANK YOU, Connie! 🙂 What a very nice surprise!! > I wondered what AKM would do if I gave it to her. You could give it to I-Heart-Mudflats. That way, you’re giving it to *everybody*.